This article originally appeared in B&T. Are consumers becoming more in tune with how the world benefits from their purchases? Republic of Everyone founder and partner Ben Peacock thinks they are, and that the industry needs to listen up. What’s in it for me (WIFM)? Probably the most important four letters in marketing history. As true now as they were when written, right? Yes, but something’s changing. 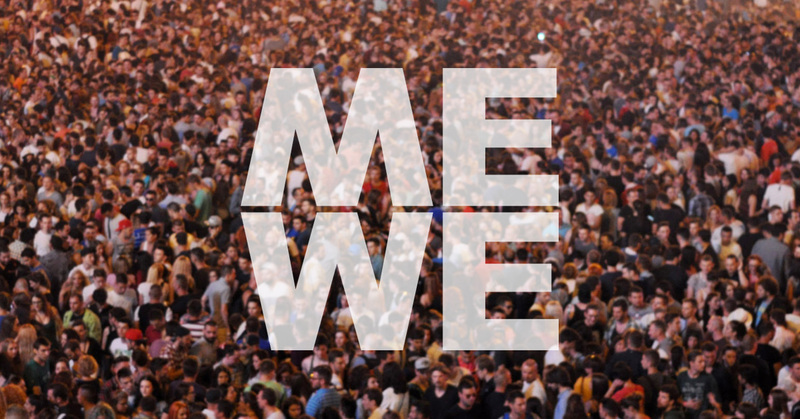 ‘We’ is now becoming important too. According to a recent Nielsen Report, almost 75 per cent of millennial respondents are willing to pay more for ‘sustainable offerings’, up from approximately half in 2014. What’s more, brand trust and commitment to social value and community are three of the biggest ‘purchase influencers’ of 2015. Yes, I still want to buy something that solves my problem – whether that’s whiter whites or something to look good in tonight. But, I also want to know that my world is benefiting too. Me, We. The ultimate combination, and one which is already creating new kinds of brands with new kinds of fans who offer a level of loyalty and willingness to pay premium prices like never seen before. Patagonia is the poster child of this brand movement. Its brand positioning as champion of the environment sees it often act more like an NGO than a for profit company. Yet, this ‘what’s in it for we’ approach to marketing has added a whole lot of ‘what’s in it for me’ to their bottom line. The company grew threefold in just seven years. All by standing for something real, and making that stand known. What’s that you say? Easy when your customers are a bunch of cashed-up, mountain climbing hippies. True. But Patagonia is just one example. Let’s not forget Anita Roddick’s global Body Shop empire built on the mantra of no animal testing. Or step into your supermarket and see Thank You water morph into muesli bars, cereal, body wash and lotions. Show me another brand that’s reproduced across your supermarket shelves that fast. And what about Pharrell Williams fronting a new range of G-Star Raw clothes made from recovered sea plastics? Or Kelly Slater’s new Outerknown sustainable surf-wear? These are not cheap brands. They are premium. And they’re selling like hotcakes. Even the most wonderful marketer of all, Nike, can be tracked back to ‘We-World’ issues like female empowerment and championing sport as giving hope to African-American communities. Yes, the world is changing. WIFM is not going away, but the age of WIFW is here too. The question is are you going to be a part of it? This brave new world favours the brave. And the first step is stepping out of the comfortable world of brand and marketing and down the hall into that slightly geeky department labelled ‘Community’, ‘Sustainability’, ‘CSR’ or, for the more advanced, ‘Shared Value’. In here you will find a different kind of beast. One who spends their time understanding the social and environmental issues that matter most to your organisation, and who has some understanding of how to go out there and solve them. Somewhere in the piles of academic white papers camouflaging their desks, you’ll find your company’s most recent sustainability report. Yes, at first glance it looks about as exciting as an annual report on Prozac, but hang in there. Deep in the pages of complicated waffle there is gold. It’s what your company is already doing to improve your customers’ worlds, but probably aren’t telling them. Take this report, then take a scalpel to it. Cut out the campaigns that match to what your marketing intel says your customers care about. Now kill the weak and feed the strong. The last initiative standing is the first one you should take to market. But before you do, you need to make it marketing ready. And you know how, because you’re the marketing guru. Don’t tell, involve. No-one cares that your company made the world better, they care that you helped them make it better. 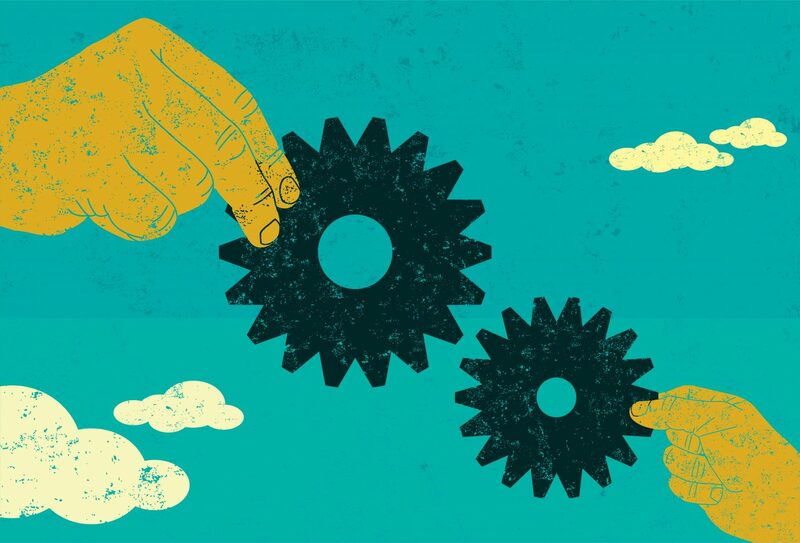 Pick the problem, then use social to get people involved, and PR to tell the tale. Fill your Facebook, empower your Instagram. Social media has never been so social as when it is about an issue that brings us all together. Take it into the real world. Give people a way to lend a hand. Yes, changing the world is the ultimate brand activation. Talk about the issue, talk about how people can get involved and your fans will talk about you. Advertising is dead. People are now your most powerful media channel. Build a brand that stands for something by doing something. Not by making up a point of difference from focus groups. Then, when you’ve done it once, do it again, bigger, better and with a new problem to solve. Assemble them all under one corporate purpose and let that lead your brand. Products, services, community sustainability and CSR all leading to one higher purpose. Now that’s a company I want to work for and buy from. What’s in it for we? A better world. What’s in it for me? That feeling that when I buy from you I’m part of the solution, not the problem. What’s in it for you? More loyal fans in an increasingly disloyal world. So, start with We and you’ll find there’s something in there for You and Me too. Here at Republic of Everyone we bring brands, sustainability and creativity together to make doing good, good for business. Call us +61 2 8097 8746, email ben@republicofeveryone.com or drop us a line below if you would like to work with us.